8 items sterling silver hollowware including 2 creamer and sugar sets. 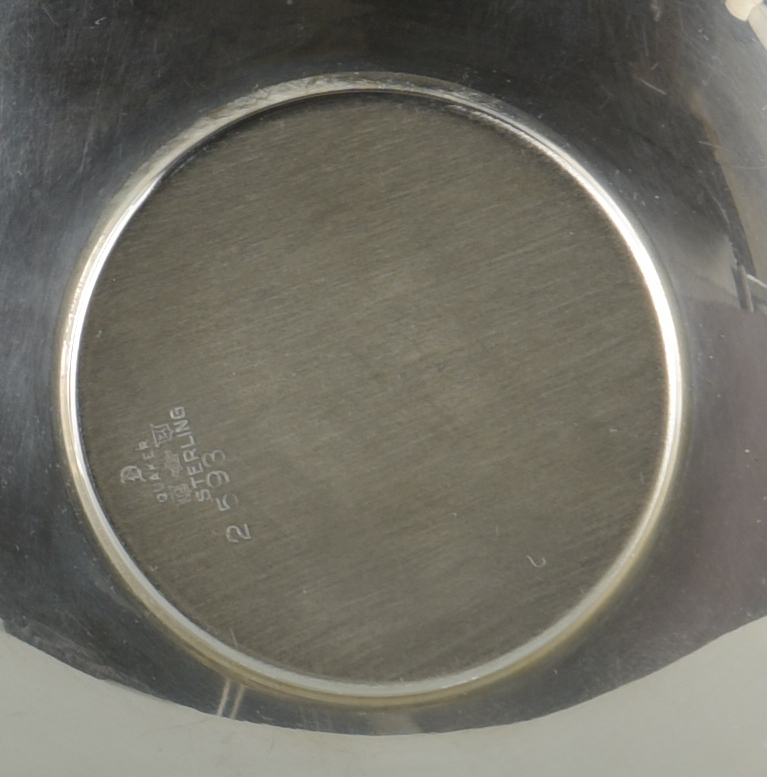 1st item: Gorham footed serving bowl with flared reeded rim, marks of Lion, Anchor, G, Sterling, A8950, impressed eagle head, on base. 2 1/2" H x 7 7/8" dia. 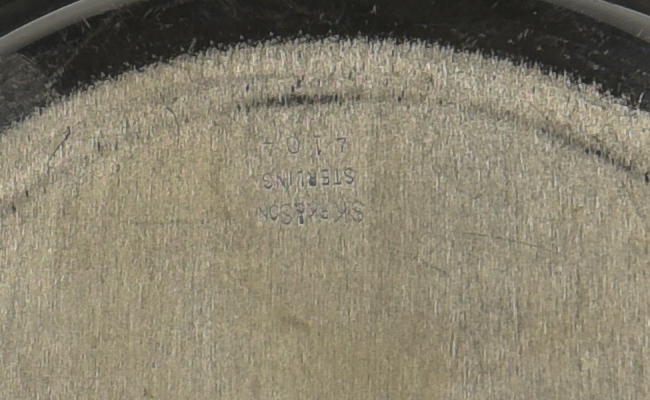 10.505 oz. 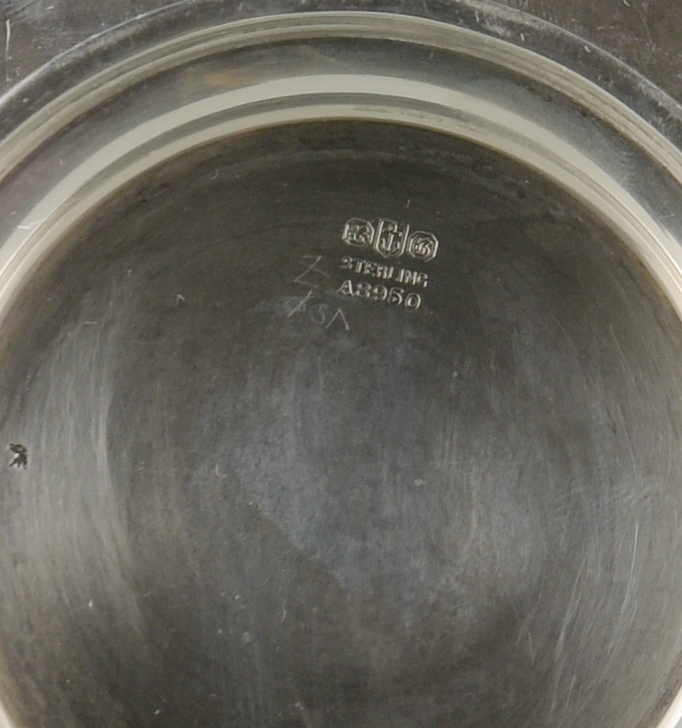 t. 2nd item: S. Kirk & Son serving bowl with stepped rim, with maker's mark and 4104 on base. 2" H x 8" dia. 9.34 oz. 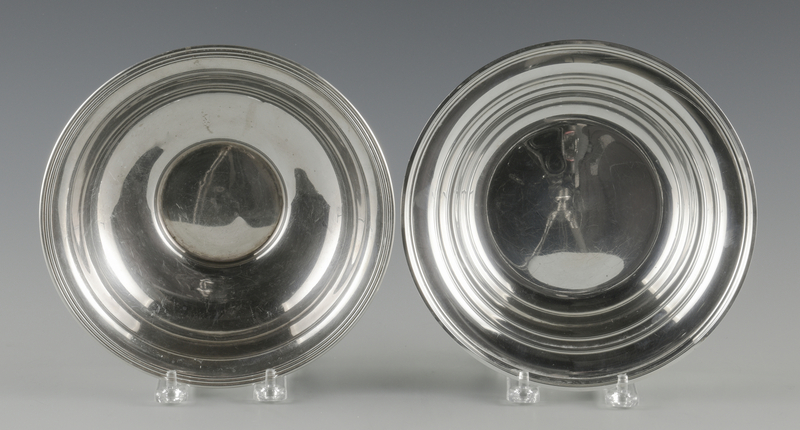 t. 3rd item: Watrous sterling bread tray with egg and dart rim, with maker's and PJ56 on base, 1" H x 11 1/4" W x 6 3/4" D. 6.5 oz. 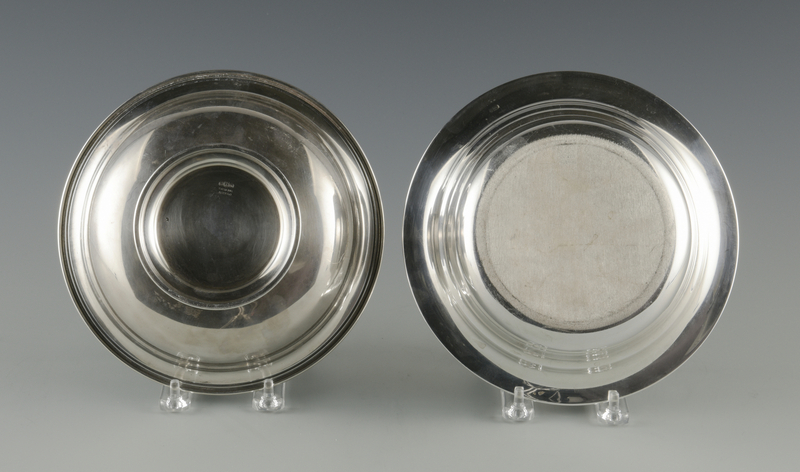 t. 4th item: Quaker sterling round saucer or dish, 2593 on base, 4 3/4" dia., 2.364 oz. 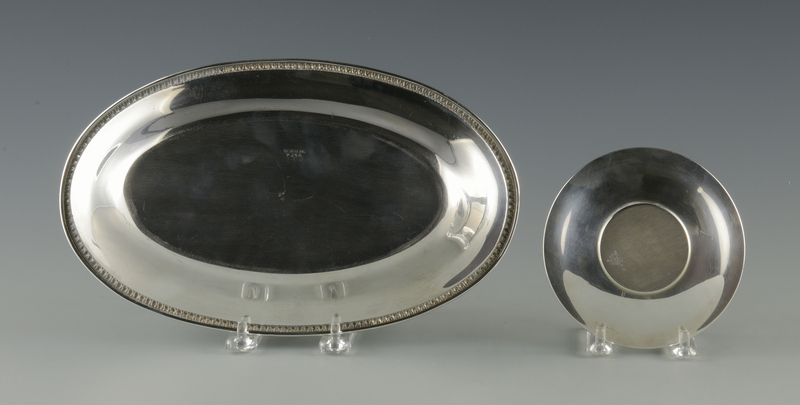 t. 5th-8th items: 2 Gorham sterling cream and sugar sets, #A80 with gadroon border and #1132 with scroll and shell decoration, 3" to 3 3/4" H, 12.72 oz troy together. 41.43 oz troy total 8 items. No monograms. 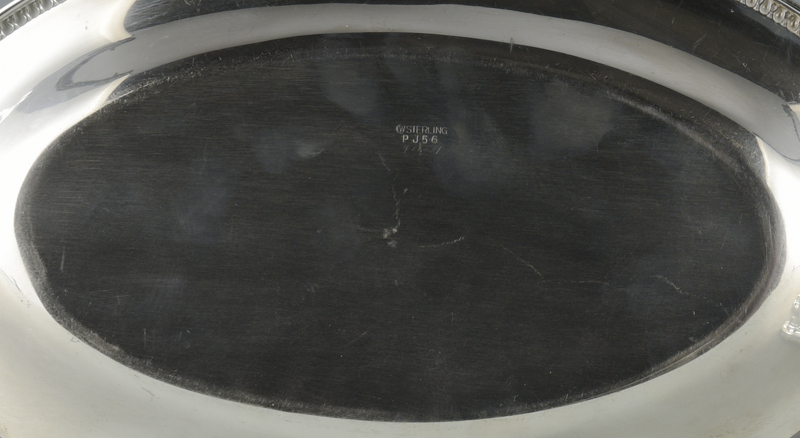 CONDITION: Overall very good condition with some surface scratches. No monograms.